Jarrod Goldsmith, 43, has led a successful and fulfilling career in both music and entrepreneurship here in Ottawa. Goldsmith has kept busy running a unique band called Sax Appeal as well as organizing the eSAX trade show every three months. Goldsmith is well known in his community as a result of running for city council for the Orleans ward. “17 candidates running in Orleans is a record, it’s never been seen before. It just seemed like the right time in my life to go make more of a difference outside the business community.” He said. Goldsmith has always kept up to date and deeply involved in his widespread work. Goldsmith began with school and music. The entrepreneur didn’t start out knowing what he wanted to do. In fact, there were no set plans for the future. He first picked up the sax in 1986 and knew that he enjoyed music even if it wasn’t something he thought of making a career out of. After high school, Goldsmith only knew he liked music but didn’t decide to go into it at that time, rather, continued his studies. Instead he went into business at Marianopolis College, Quebec’s pre-university CEGEP program. Goldsmith came to realize he didn’t like it and that it wasn’t the course for him. In his second to last semester he branched off to anthropology. In his last semester Goldsmith took up archaeology courses which led to a McGill undergraduate degree in archaeology, and a further Master’s degree from the University of Alberta. While greatly enjoying archaeology and music, Goldsmith didn’t see a future in either. Archaeology did, however, lead him to travel while working on digs. Goldsmith got the chance to spend a summer in both Europe and Japan, even earning school credit through McGill University. He enjoyed the experience in Asia so much that he decided to extend his stay and found a second excavation to work at. When money started to run out, Goldsmith took up teaching english as well as working at a sleep away camp for a few days. Goldsmith remembered the experience as a good one and feeling lucky to get the opportunity. After school Goldsmith moved back to Montreal and stayed with family. He struggled to find a job and settled on being a public security officer for his municipality. That all changed in 2001 when Goldsmith met a woman at a concert that he was performing in. Him on saxophone and her on clarinet. The two connected and started dating. Soon after, she was accepted to the University of Ottawa, Goldsmith made the decision to move with her and look for work there. Goldsmith shifted to change his life and start down his own path. He was determined to break away from work he didn’t enjoy and make a future out of his passions. He thought that there was more to life then practicing getting better at the sax or studying artifacts behind a desk for hours. Though joking, he did confirm he likes rocks more than most people. Goldsmith set out to make a career in music. He came to build up his band Sax Appeal and worked to do everything he could to get the name out in the world. He knew that getting into music would be a tough road. “My parent’s still think I’m crazy going into music. But I wanted to make it work so I went into the band treating it as a full time business,” Goldsmith said. Goldsmith quickly realized that an all-saxophone band wasn’t something people saw often and would never be hired for gigs. The average person isn’t familiar with this type of ensemble. Sax Appeal performs mostly background ambiance jazz, classical or Christmas music. One of his favourite gigs is for the Gatineau hot air balloon festival that they play every year. He explained how the balloons inflate and start to drift off to their music. Another of his favourites is for Manotick’s Women’s Day. Every year they are hired to walk up and down Main Street, while going into boutiques to perform and celebrate the day. Goldsmith believes they bring a warmth and experience to every event that always creates a special atmosphere. Their style of tuxedos and fedoras has become a signature and easily recognizable across the city. Goldsmith also started up eSAX, a trade show and networking opportunity for other entrepreneurs. He always wanted to help small businesses to succeed and bring together a community. He eventually found that there was a need for an organization such as eSAX. Goldsmith hosts the events every three months, allowing for over 300 entrepreneurs to gather on a regular basis. 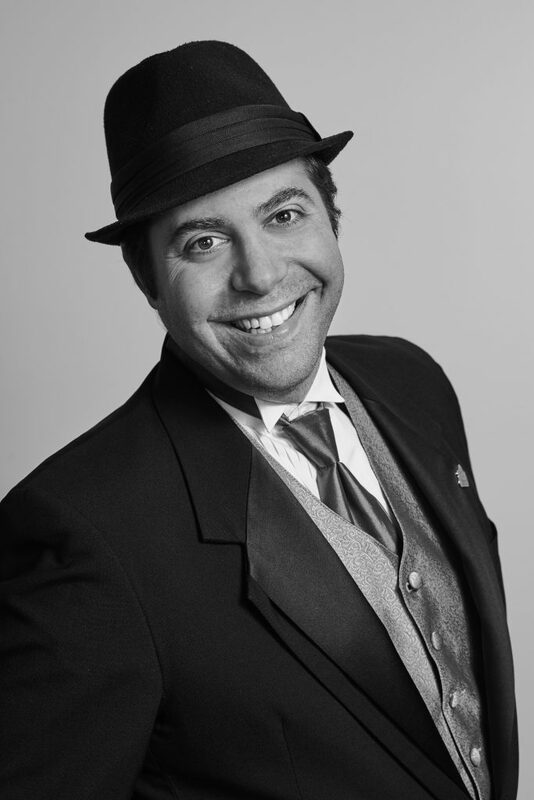 Goldsmith continues to promote his work and bring awareness to both entrepreneurship and Sax Appeal through posting hundreds of YouTube videos and public speaking. Jarrod Goldsmith at the last eSAX event taking place at Lansdowne Park. There was a pause in the conversation for a pick of a winning ticket. While frequently having Ottawa Mayor Jim Watson attend, he’s also had big names such as W. Brett Wilson who was on Dragons’ Den for three seasons. He also had Steve Cody speak on launching his new business Ruckify, an online marketplace for safe rentals. Another popular guest was Bruce Linton; owner of Canopy Growth, the largest cannabis producer in Canada which is actually located in Smith Falls, about one hour from Ottawa by car. Linton spoke on Oct. 17, 2018, which just happened to be perfect timing as that was the day cannabis became legal in Canada. He’s also had experience being an ambassador for all the local area Chambers of Commerce and served on the Board of Directors for the Orleans Chamber of Commerce. This wasn’t Goldsmith’s only connection to Algonquin. He has also been invited to regularly speak for several different courses, chatting about entrepreneurship, networking and music. He’s also done workshops and spoke to students about entrepreneurship, networking and music. Originally published by the Ottawa Business Journal on October 18, 2018. Former Dragons’ Den panelist Brett Wilson is arguably one of the best-known faces in Canadian business, but Wednesday night even he couldn’t compete with the star power of Ottawa’s celebrity CEO of the moment. How eSAX got started and why it brings the Ottawa entrepreneur community together via founder Jarrod Goldsmith! http://esax.ca/wp-content/uploads/2017/01/eSAXLogo-High-Rez.jpg 850 850 eSAXnetworking http://esax.ca/wp-content/uploads/2016/11/eSAX-2016-logo-200.png eSAXnetworking2018-11-27 20:04:262019-01-10 20:32:54How eSAX got started and why it brings the Ottawa entrepreneur community together via founder Jarrod Goldsmith! Amazing Overview of the October 2018 eSAX Event by CoverageCorp Showcasing the Launch of Ruckify! CoverageCorp perfectly captured the energy of the official launch of Ruckify at the October 2018 eSAX event, featuring W. Brett Wilson (Dragons’ Den Emeritus), Bruce Linton (Canopy Growth), Steve Cody, Ottawa Mayor Jim Watson, the Ottawa Board of Trade, Dylan Black (MC) & Jarrod Goldsmith (eSAX) on the day that cannabis became legal in Canada! 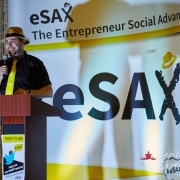 #eSAX (The Entrepreneur Social Advantage Experience – https://esax.ca) is an entrepreneur networking community and tradeshow for small business to create connections, gain knowledge from featured speakers and promote regional economic collaboration among Chambers of Commerce and community / business leaders. http://esax.ca/wp-content/uploads/2017/01/eSAXLogo-High-Rez.jpg 850 850 eSAXnetworking http://esax.ca/wp-content/uploads/2016/11/eSAX-2016-logo-200.png eSAXnetworking2018-11-23 19:06:442019-02-12 19:14:52Amazing Overview of the October 2018 eSAX Event by CoverageCorp Showcasing the Launch of Ruckify! The eSAX event on October 17, 2018 (day of cannabis legalization) is featuring Bruce Linton (CEO Canopy Growth), W. Brett Wilson (previously of Dragons’ Den), Steve Cody (Ruckify), Ottawa Board of Trade and Mayor Jim Watson. An Ottawa business leaders will have his name and memory honoured in a new mentorship award sponsored by numerous local organizations. The Peter Stewart Business Mentor of the Year Award will celebrate the longtime Orléans business leader’s contributions. The award will be given to a member of the newly-merged Ottawa Board of Trade who has proven to be a leader and mentor in the community for a number of years. 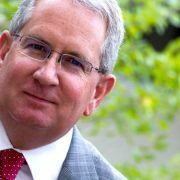 The nature of the award is meant to reflect Stewart’s extensive mentorship of local companies during his time as executive director of the Orléans Chamber of Commerce and as a business advisor at Invest Ottawa predecessor OCRI. His contributions earned him the Orléans chamber’s lifetime achievement award in February. Stewart told OBJ then that more businesspeople in the city should recognize the value of spending time with other companies. “Too many businesspeople don’t get involved in their community and miss out on opportunities. They miss out on talking to other businesspeople and they miss out on hearing how other businesspeople are having the exact same struggles that they are,” he said. Stewart died earlier this year after a battle with esophageal cancer. Nominations are open until Sept. 23 for the award, which is sponsored by eSAX, Invest Ottawa, the Ottawa Community Loan Fund, Collabspace and the Ottawa Public Library. The inaugural recipient will be announced at eSax on Oct. 17. I mean the drive to Toronto once in a while gets a little tiring. But the biggest challenge is changing things up. Businesses get stale. Businesses have to change. You have to do something different every three months. I found a format that works really well for my networking events, but I change it up each time. In your industry and as somewhat of a “freelance entrepreneur”, you have to negotiate your own value with your client.